The choices for Imran: Who will he satisfy first? Imran may consult, but he must finally decide the trade-offs. Imran Khan is struggling to govern and restore a failing state. He has made a start that at best is ‘mixed’. There have been some good, some baffling and some awful decisions. The political, class and power structures that allegedly engineered the PTI’s electoral victory favour, at most, superficial and token reform within an anti-people status quo. 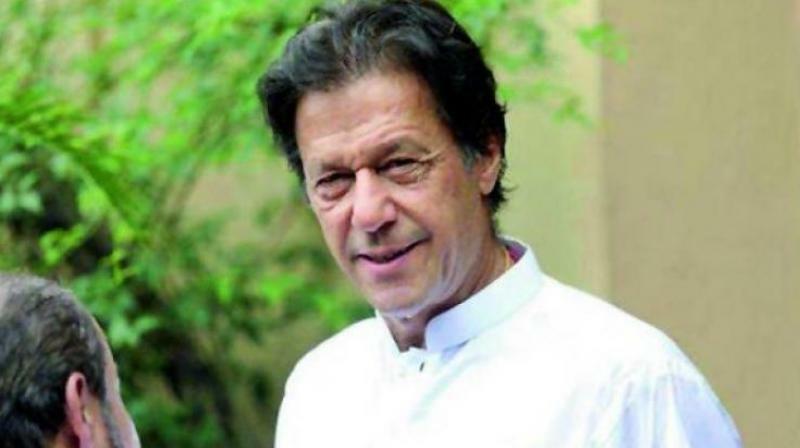 But Imran also won because an enormous cross section of the electorate saw him as their last hope to replace the rotten status quo with a more inclusive and just order in Pakistan. There are, accordingly, two sets of expectations waiting to be justified within the so-called first 100 days of Imran’s administration. One is that of the satisfied classes. By and large, they will never support structural reform at the expense of the existing system which insures them against the risks of an empowered people. They are already challenging Imran’s authority. The other set of expectations is of the people. They know the sufferings and deprivations inflicted upon them and their families by a hostile status quo and its guardians. They are also aware of their potential to challenge and change the status quo. Accordingly, there is little room for compromise between these two sets of expectations. Imran will soon have to make clear which set he will justify. His first 100 days must show a clear trend in this regard. But he does not want to rock the boat. He probably feels the need to consolidate his position by satisfying one set of expectations without undermining the other. This accounts for what T.S. Eliot called “decisions and revisions which a minute will reverse”. The Chinese dream is unfolding. The American dream is fading. What can a Pakistani dream mean? It must involve prioritising education and healthcare, science and technology, rationalising mindsets, understanding and acting upon the moral and social imperatives of Islam, addressing the root causes of social evils including corruption, extremism, discriminations etc, and strengthening a sense of inclusion and participation instead of the prevailing sense of exclusion and alienation among the people. Such fundamental reform requires uncompromising determination. It cannot be implemented without articulated ideas, movements, organisation and struggle. Imran’s grandiose commitments and promises will, otherwise, risk becoming empty talk. He will be challenged every day from unexpected quarters. He will have to think and act big within the realm of feasibility. However, feasibility is always greater than what experts or professionals assume. ‘Available resources’ are never a given. They are a matter of specific priorities. Imran may consult, but he must finally decide the trade-offs. While time is required to launch transformational reform, no time is needed to get common sense things right. If ‘teething problems’ keep making headlines they will distract Imran and limit his capacity to do anything significant for the people. Moreover, the impression of influenced or wayward decision-making will be fatal for his mission. The Chinese dream has been unfolding for 100 years through the ‘century of humiliation’ and struggle along a path towards national freedom and renewal. Today, the dream has entered a new stage given China’s current imperatives generated by its national achievements and capacities on the one hand, and by the current stage of globalisation including strategic threats to China on the other. The Chinese dream provides the framework for all its massive initiatives at home, regionally and globally. It reaffirms Napoleon’s prediction: China is a sleeping giant; when it wakes it will shake the world! China awoke with the students’ May 4 movement of 1919. It ‘stood up’ under Mao Zedong in 1949. It ‘reformed and opened up’ to the world under Deng Xiaoping in 1978. It is ‘shaking the world’ today under Xi Jinping. It is coming forth with better ideas for a better world. For a Pakistani dream to have credibility it must similarly be based on time-lined transformational achievements and capacities. While resources will need to be availed of to plug immediate expenditure gaps, endless IMF bailouts are the opium of a soft state. They ensure perpetual and wretched dependence. Which country wants such an ally? For this to change, a ‘transformational politics in command’ must become the engine of structural reform. Unlike Pakistan, India has seldom sought IMF resources. And we ask why it is more respected! If Imran and the PTI do not rise to the Herculean challenge before them, either dysfunctional extremism will prevail or the status quo will resume its fatal course. The Doomsday Clock will then be ticking for an unregenerate nation. Accordingly, he cannot allow himself to fail. The French existentialist philosopher, novelist and playwright, Jean-Paul Sartre, would have said Imran Khan is ‘condemned to succeed’.